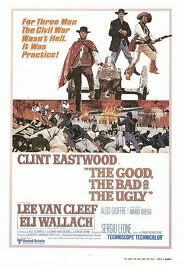 Resumes can be segmented into the good, the bad and the ugly, just like the movie. Recently I read a resume that upped the ante far past ugly. This frightful five-page, single-spaced summary inspired me to address the resume issue again for anyone born when the original movie was released in 1966 or earlier. As gently and respectfully as I can say this to readers everywhere; there is nothing you have done or will do in a corporate setting that requires a five page resume. Okay, there I’ve said it, let’s move on. The resume exists for one reason, to gain you an interview. That interview may initially be on the telephone and even if it is; the resume has succeeded. Keep the statement above in mind, and let it guide your resume writing. I disagree with the school of thought and resume practitioners who believe resumes need an objective. Your objective is to gain an interview. The company doesn’t care if you want to leverage your significant strengths in a way to......(zzzzz, I fell asleep). This is not about you, the resume writer—job seeker. This is about the company who is going to pay you, provide you benefits and open a world of opportunities. 500 resumes are received for requisition #56812- Director, Communication and Community Relations for a large regional bank in the recruiting system. These tracking systems use filters. The first filter might be location. The company shouldn’t have to pay to relocate someone with that many applicants. Filtering by location still left the recruiting assistant with over 100 resumes, so he tries a different filter. The bank has had success hiring from competitors; so the junior recruiting assistant keys in the names of competitive banks and voila, twenty-six resumes appear with recent banking industry experience—twelve candidates are local. Two applicants worked for the bank before and are on the “do not rehire list” (yes, that list exists). The ten remaining resumes are forwarded to the overwhelmed recruiter in charge of the requisition and 490 people will never hear from the company unless their applicant tracking system had an automated, “don’t call us, we’ll call you” screen when they applied. There are as many filters as a company can customize. The bank may have wanted someone with strong media experience, with a certain professional certification or an advanced degree. The applicant tracking system can scan for all of these variables and more. Have a person who writes and spells well proofread the resume and do not rely on spellcheck. Read the job posting and use the same keywords in the posting within your resume. (It increases the likelihood your resume will make the scan). If you know someone at the company have them enter your resume through the employee referral program. Companies often review referrals first.You score an advantage and the employee receive a finders fee after you are hired. Keep the resume to one page, two at the most. Highlight achievements, not job duties. There are a lot of long-term unemployed people out there, be honest. Anything you have done to improve your skills while unemployed shows initiative-online classes, free webinars, earning job-related certifications will help if it applies to the job posting. Keep formatting simple and jobs chronological. The applicant tracking system is a computer program and many of the systems do not process exotic fonts, text boxes and bolding well. Unless it allows a pdf file, you may lose your formatting. Also, a lot of the systems cannot process functional resumes properly. Consider investing in a professional resume writer if your resume is not yielding interviews. Your local workforce development office or job club may offer these resources at no charge. Before resumes turn into interviews, it is not uncommon for recruiters to search quickly for you online. Search yourself to insure your online persona and your resume are in alignment, any discrepancies may cost you an interview. Skip the cutesy personal email addresses. Create an email just for your job search if needed. We're all going to be replaced by machines one day, aren't we? Keywords are the essential components for creating a winning resume, because recruiters are scanning the resume based on keywords. I agree with Gene, keywords are most essential components when creating resume. Companies select the best resume which has technologies learned and known by candidates. To know more about resumes visit here. The resume casn be segmented into the good. resume creating is easy once you have a plan.it is best formate than we can esay to Experienced Workers . Recruit craft has been the recruiting software of choice for top recruiters and staffing professionals looking for an edge over the competition.Easy-to-use Recruitment Software that works with Microsoft Office, social network,LinkedIn. A good resume must always get the attention of the employer. Your resume must always be updated especially for experienced worked. This guide is really helpful. I suggest to visit an expert in professional resume writing Edmonton so you can receive some assistance with your resume writing and also with the interview.